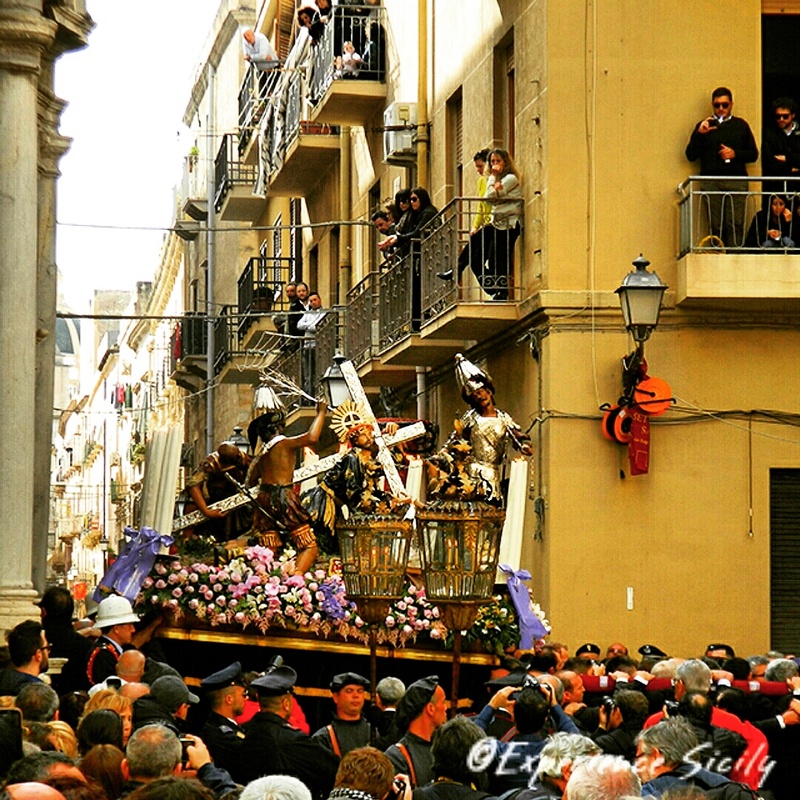 Holy Week in Sicily is remarkable. Countless towns observe la Settimana Santa with solemn processions and rituals. The region’s Spanish cultural roots are most apparent during these passionate practices. Last year’s Good Friday, observed today in 2016, I was fortunate enough to be in Trapani, where I took this photo of the unforgettable Processione dei Misteri, or Procession of the Mysteries. The city’s confraternities take responsibility for one statue-scene of 20 that depict the Stations of the Cross, and accompanied by local wind bands, for 24 hours they carry the very, very, very heavy priceless works of art through the city’s streets, a tradition they’ve practiced for about 400 years. Oh my, what a holy undertaking. Beautiful!